The florists that we have at Jungle World are experienced professionals when it comes to arranging flowers for business. With this in mind, we know that many of our readers and customers probably want to know what work goes into our stunning floral displays. That’s why we’ve put together some expert tips on how to create the perfect display. To ensure that your display lasts for as long as possible, it’s important that you add some flower food to the water that you will be using. This will keep your flowers looking and smelling fresh for days on end, as well as ensuring that there is no bacteria in the water which could harm the flowers in the display. 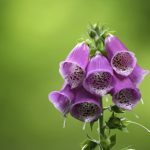 Flower food will usually contain some form of acidifying agent to create a hostile environment for bacteria, stopping the possibility of stems becoming blocked and unable to draw essential water and nutrients up to stay fresh. Bashing the stems is a big no-no. Doing this causes trauma to the bottom of the stem and can actually make it more difficult for the plant to be able to take up water from the vase. Instead, make sure that you cut at least an inch from the bottom of the stem on an angle with sharp scissors and place it in the water as soon as possible to avoid creating an air bubble in the stem. 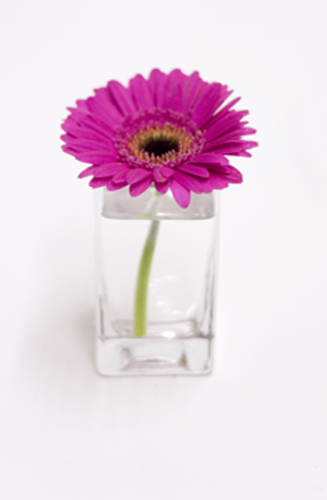 If your stems are all varying length, you need to make sure that they all have access to enough water. As a guide, stems should be covered up to around halfway around the bouquet, around the area that would be tied if it was to be a hand held arrangement. This is to ensure that as the water level drops, all stems still have access to the water. 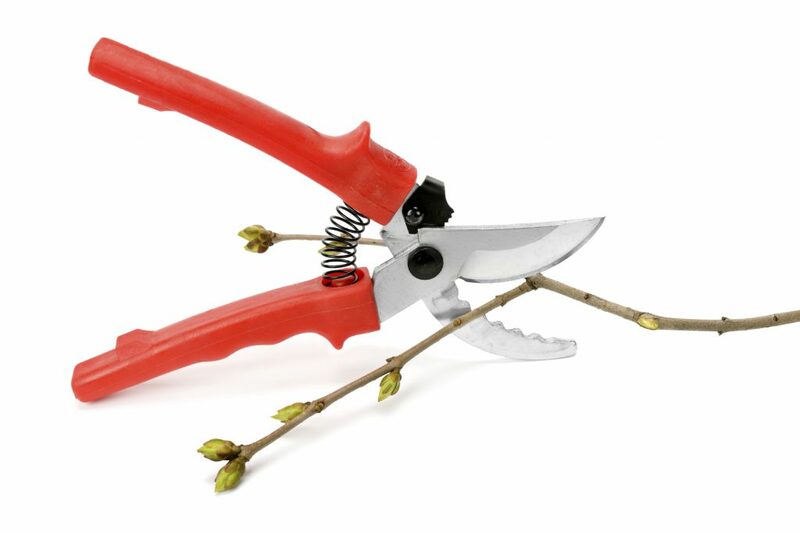 A sharp pair of florist scissors is the most essential piece of equipment in an florists arsenal. The sharper the blade, the smoother the cut of the stem and the less damage will be caused. They are also much more durable than normal scissors and are less cumbersome, allowing for a wider range of movement and flexibility. Floristry is a fun industry to be in and we hope that more people get inspired to join in with one of the most creative, fulfilling jobs! 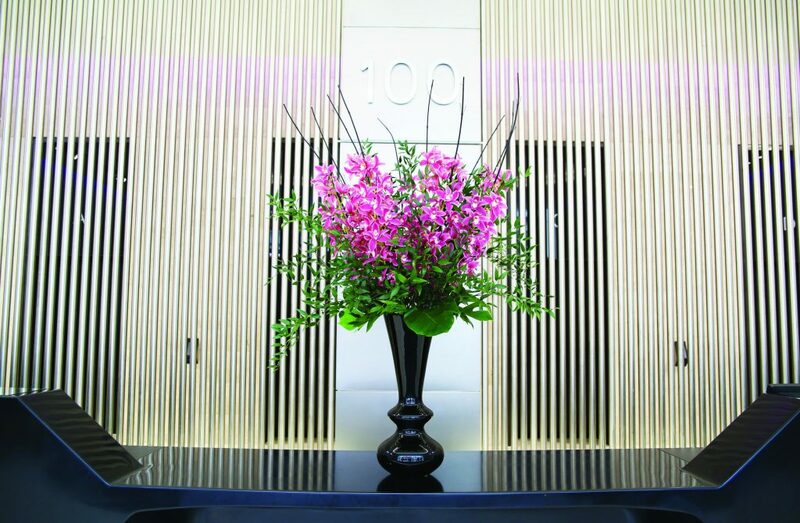 However, if you’d rather leave the flower arranging to the experts, don’t hesitate to contact us on 0208 968 8190 and a member of our experienced team will be happy to help you.